Heavy duty stainless steel single-coil springs, with D-Rings for ease of installation and adjustment. 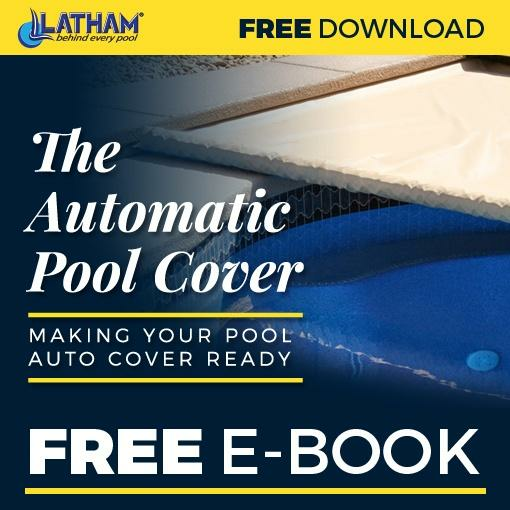 They have a lower profile – so covers lay flat and fit tight — whatever the shape of the pool. Standard on all Solid & Mesh covers. All of our Solid & Mesh safety cover seams are interlocked and double overlapped. This seam is the heart of the safety difference. Place your hands over top of one another - how strong is that? Now hook your fingers together and place someone else's hands above and below your own - this is how our safety cover seams are done. Our coping anti-rub strip is white, ensuring that no unsightly black marks end up on your coping. A potential trouble spot for pool covers is the perimeter - where they can fray and unravel. Our Solid & Mesh covers are first hemmed, then sandwiched between double layers of webbing. Edges can't unravel, you get years of trouble-free performance. Excellence shows in the details. Like box tack reinforcement on all perimeter straps. Protective pads positioned at step nosings to prevent abrasion. And added protection on every component including the thread to resist UV rays and pool chemicals.